Ty Dolla $ign has pretty much been everywhere this summer. While he appeared on essentially every major hip hop album over the past few months, he’s currently on the road with G-Eazy, Lil Uzi Vert, YBN Nahmir and more for the “Endless Summer” tour. Unfortunately, the rapper was detained in Atlanta earlier today after drug dogs allegedly found weed in his limo. 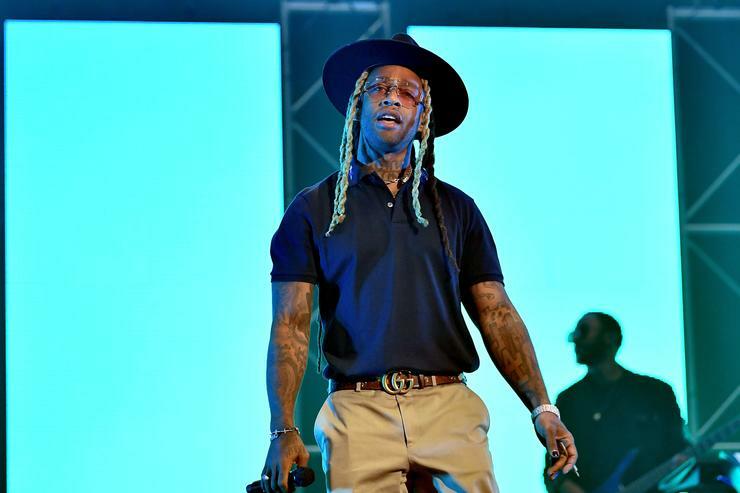 According to TMZ, Ty Dolla $ign was busted by Atlanta police earlier today after they found marijuana in his vehicle. Ty and his crew were pulled over by the police in front of Busy Bee Cafe which is right outside of the city. After police made everyone get out of the car, they eventually found some weed. Video of the bust surfaced earlier today and from what you could see, police and drug dogs are surrounding the limo. Ty is seen in handcuffs before being brought to a cruiser. An Atlanta Police Department spokesperson revealed that they’re on the scene but there’s yet to be any charges filed against Ty or his crew. Unfortunately, this comes shortly before he was supposed to perform at Cellairis Amphitheatre at Lakewood which is just south of Atlanta. The tour date was part of the “Endless Summer” tour. However, it’s unsure whether his recent run-in with the police will effect his ability to perform tonight.